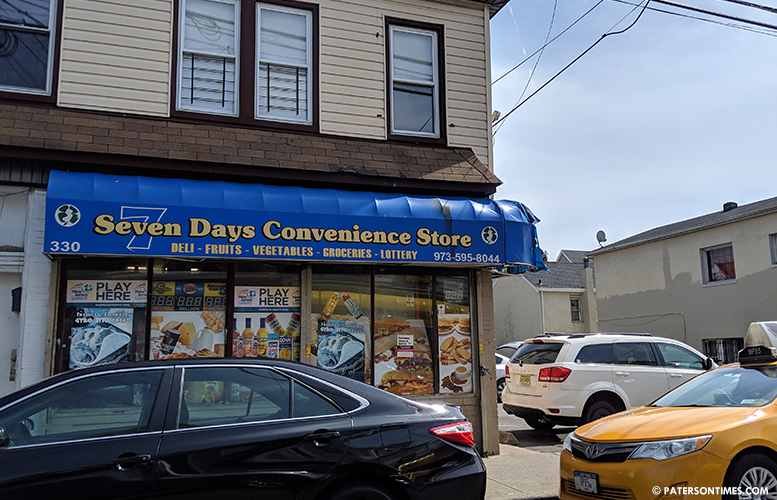 The police arrested three men and issued summonses to several others at a Totowa Avenue store parking lot used by dealers to sell drugs, play loud music, and smoke marijuana, according to police director Jerry Speziale. Police charged Ernesto Marrero, 35, of Paterson; Miguel Cintron, 38, of Totowa; and Fabio Adduci, 19, of Little Falls, with marijuana possession. Additionally, Marrero was charged with possession, intent to distribute, and intent to sell drugs in a school zone. Detectives responded to 330 Totowa Avenue at 9 p.m. on Saturday. Police had gotten numerous calls of drug activity and loud music at the parking lot of the Seven Days Convivence Store from area residents. Police found 10 males standing in the parking lot around a vehicle. There was an open container of alcohol and the group was playing loud music. Detectives smelled strong marijuana odor upon getting out of their vehicles to issue summonses. Marrero had a clear sandwich bag containing marijuana sticking out of his sweater pocket. A strong odor of raw marijuana was emanating from his person. Police seized 3 sandwich bags and 4 blue bags of marijuana. Detectives then approached Cintron after smelling a strong marijuana odor emanating from him. He admitted to having a small amount of weed. Police seized 1 knotted bag of marijuana. Adduci was observed smoking a marijuana cigar. He had 1 sandwich bag of marijuana and 2 marijuana cigars. Police arrested all three and issued ordinance violations for public drinking and loud music to the rest of the males. In all, police confiscated 9 bags of marijuana, 2 marijuana cigars, a 200 ML open container of D’usse VSOP Cognac, and a 50 ML closed Baileys Strawberries and Cream.